Made in the Midlands are delighted that Filtermist have joined as one of our latest Gold members. Filtermist manufactures and markets oil mist filters and smoke, fume and dust extraction equipment for all types of manufacturing and engineering processes. 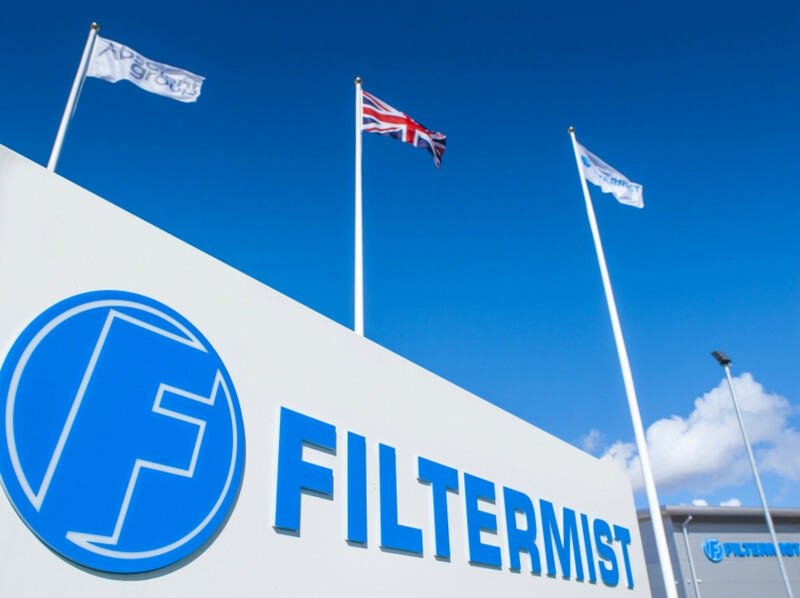 Stuart Plimmer, Filtermists Director of Sales explained the decision to join: Filtermist was established in Bridgnorth in 1969 and relocated to Telford last year. We work with a significant number of the regions manufacturers and OEMs to ensure people are protected from a range of hazards caused by airborne contaminants including oil mist, dust, smoke and fume. Filtermist oil mist filters are manufactured in the UK and have been protecting people from harmful airborne hazards for almost 50 years. Compact, quiet and efficient, Filtermist units are trusted by many of the worlds leading manufacturers to effectively remove oil mist from workplace air - resulting in cleaner, safer, more productive workshops. Filtermist units use centrifugal force to separate oil and coolant mist from contaminated air, returning filtered oil back to the machine tool and exhausting clean air back into the workplace. In the UK, the company also offers a number of additional services including preventative maintenance for all types of oil mist, smoke, fume and dust extraction equipment, and HSG258 compliant LEV testing for all makes and models of LEV Systems. Dedicated operating division, Direct Filtration, provides an extensive range of filter consumables and Filtermist also sells Coolant Control products through a network of UK distributors as well as an online shop. Contact Filtermist on 01952 290500 to find out more about all products and services offered in the UK.